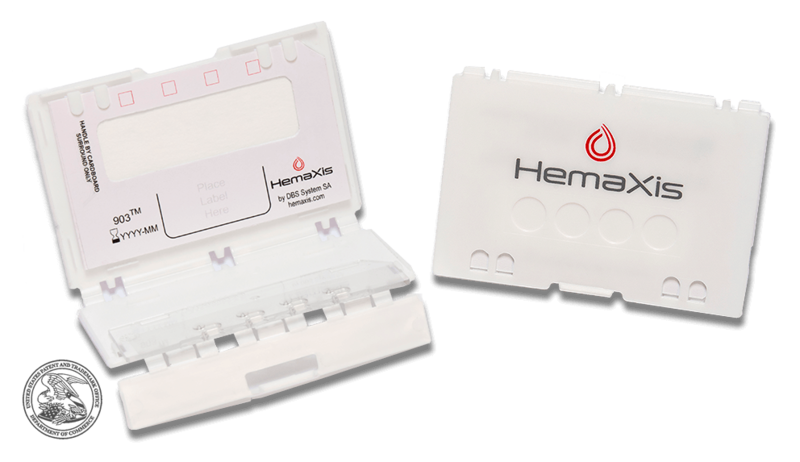 HemaXis DB10 incorporates a microfluidic chip with a standard filter card and a protective case to provide a practical solution for whole blood collection at the fingertip that can be performed anywhere and at anytime. 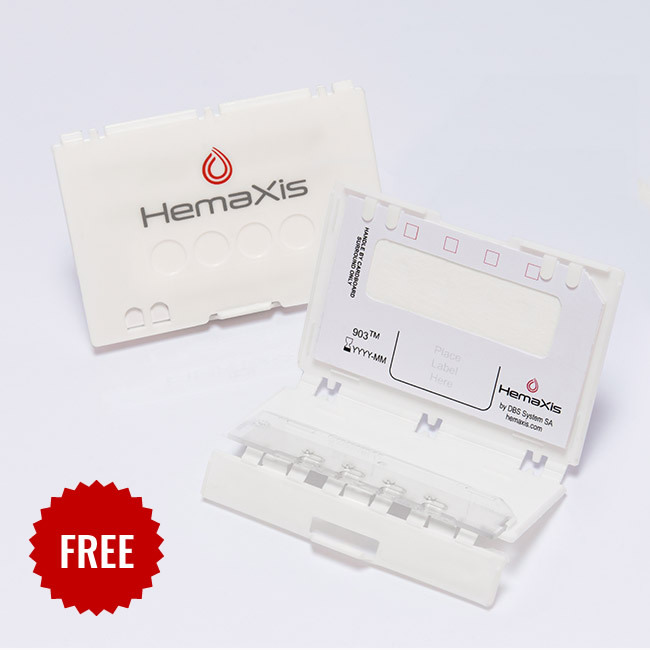 HemaXis DB10 delivers an accurate and precise amount of blood with no bias due to hematocrit. The repeatability in volume control is comparable to a volumetric micropipette so there is no need for a sub punch as the entire spot can be used for extraction. STEP 4 of 5: DRIED BLOOD SPOT GENERATION - READY TO SHIP! STEP 5 of 5: RECEPTION OF THE SAMPLES AT THE LAB - READY TO ANALYZE! HemaXis DB10 is a CE/IVD and FDA Class 1 medical device. 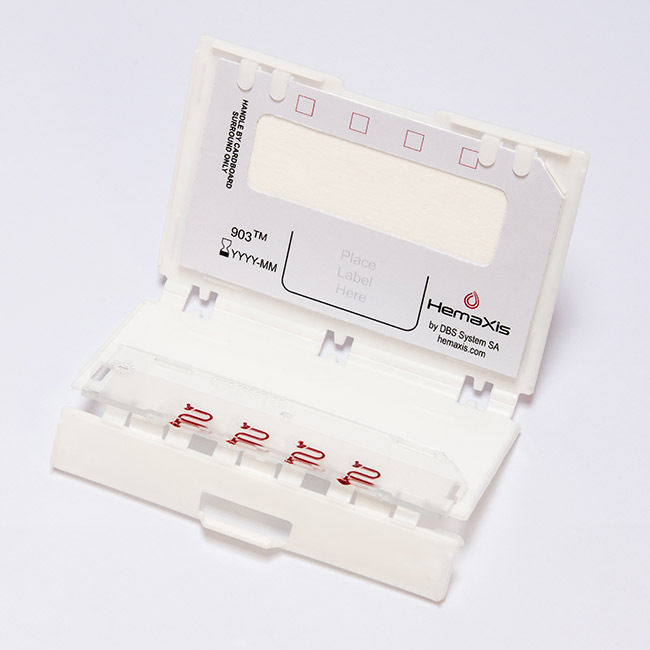 It is intended to collect, store and transport capillary blood samples for analysis in a certified laboratory. For large volume orders contact us directly at info@dbs-system.ch for a quote.